There’s truly no denying that aloe vera juice benefits are real, and plentiful. From aloe vera being used as a natural laxative to helping lower cholesterol and blood sugar levels, the kinds of health perks an aloe vera juice drinker is likely to receive is vast. It seems like every day more people jump on the juice bandwagon for a number of reasons, from diet to digestion. Here are a few things you’ll want to know. Some info from Fitsugar. 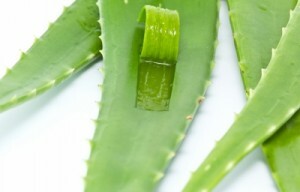 Curing constipation: Natural laxative remains one of the most tried-and-true aloe vera juice benefits. 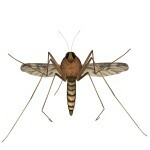 The plant juice encourages the bowels to move and aids in elimination if a person is currently constipated. After sipping on the juice, it takes about 10 hours for the aloe juice to instigate its laxative effects. Be careful about relying on this cure however, using aloe for a long time can be dangerous for the lining of the intestines. Blood sugar level: Early research suggests that aloe vera juice can help lower blood sugar levels in people with type 2 diabetes. However, more thorough testing is needed to determine how beneficial aloe is in the situation, since studies have had conflicting results. Lower cholesterol: Although the data is considered insufficient to support this claim, there is a small amount of evidence that suggests taking aloe orally can lower cholesterol. Once again, more studies are needed to see if aloe fulfills this promise. While aloe vera juice benefits are certainly plentiful and hold little bounds, drinking aloe vera has not been shown to strengthen the immune system (contrary to popular belief), nor is there any evidence to suggest that inflammation reduction or ulcer alleviation fall into the category of aloe vera juice benefits. However, aloe vera juice isn’t necessarily for everyone. Although aloe vera juice is potent and highly successful form of natural laxative, it can cause quite a bit of bowel irritation for someone with an already-sensitive digestive system. If you have IBS or another kind of digestive disorder, consider enlisting the help of a physician first. Interested in discovering the secrets behind aloe vera juice benefits at home? Check out this video.